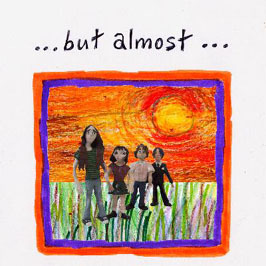 Betty's Clinic contributed their version of the ELEVATOR TO HELL song "Why I didn't Like August '93" to this tribute album. 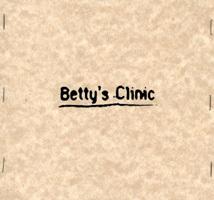 The Betty's Clinic album. Drums, guide guitar and guide vocals were recorded on the sPookYsounds B16 in practice room 2 at Yellow Arch and the rest was added soon after at sPookYsounds (Edgefield Road). When it came to the to time record vocals the studio was out of action due to building works and so the gear was set up in the dining room and Phil sang in candlelight in the kitchen . Phil sang and played guitar, Nigel played drums, Rich played bass and Craig played guitar. 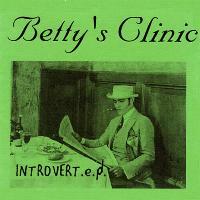 The second Betty's Clinic ep was only available on tape. It was recorded and mixed on the sPookYsounds four track at Phil's house in three hours. The bathroom was used as a control room while recording the instuments. The recording gear was moved to the top of the stairs so that the vocals could take advantage of the natural reverb in the bathroom. Phil sang and played guitar, Nigel played drums and Rich played bass. *johnnie played lead guitar live during mixdown for the alternate version. The first Betty's Clinic ep was recorded at sPookYsounds (Edgefield Road) on the B16. It was originally released as a four song cassette and five song CD. Phil sang and played guitar, Nigel played drums and Mike played bass. *The sound of pumpkins was the CD exclusive track and featured Alice from the sPrinG on recorder.